Locking maps are useful for organising comprehensive master key systems. They make organisation much easier. 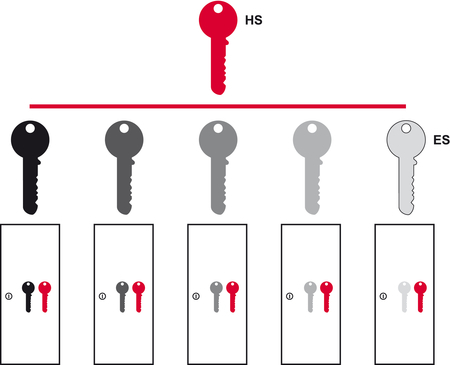 Generally, a distinction is made between two systems: Simple organisation with a master key (abbreviated to MK) and multi-level organisation with a general master key (abbreviated to GMK). 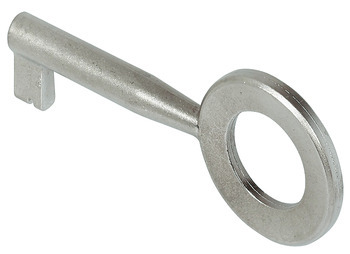 MK systems have several individual keys (IK) that are keyed to differ, i.e. they are not interchangeable. Then there is the master key (MK), which overrides all of the individual keys and therefore opens every lock in this system. MK locking systems are ideal for small offices with a boss and several employees. 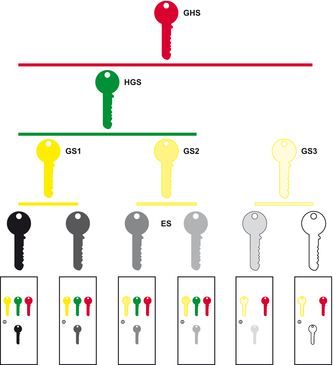 GMK systems have both individual keys (IK) and group keys (GK) that are assigned to different IK's. Several GK's can be assigned to one master group key (MGK). The general master key (GMK) then overrides every key in the system. GMK locking systems are used for organisation in large office buildings with several departments and sub-departments. 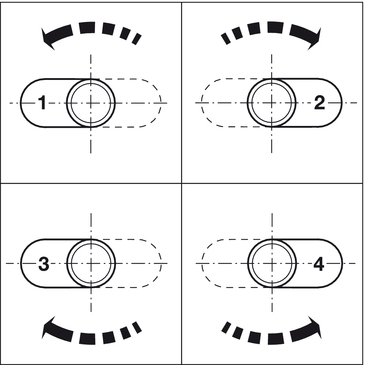 The closure travel is specified by numbers and the closure direction is specified by letters with cam locks. 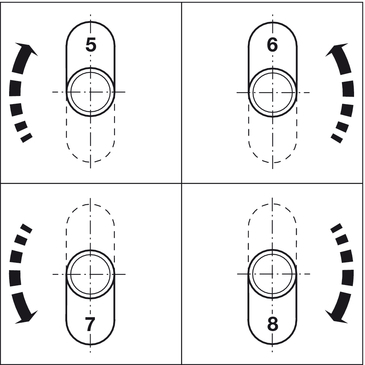 They refer to the installation situations shown in the tables. Locks with closure travel 180° can be altered to all closure travels. Factory set is closure travel 1. 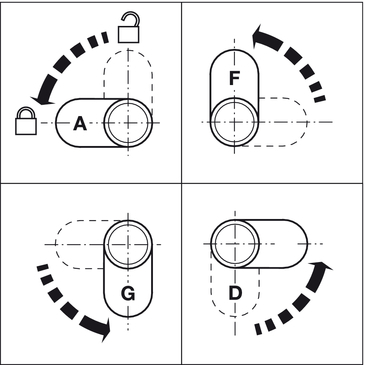 Locks with closure travel 90° are either left or right locking locks. 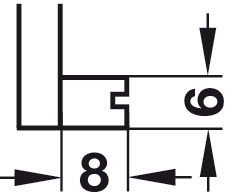 The closure direction is here specified by letters. 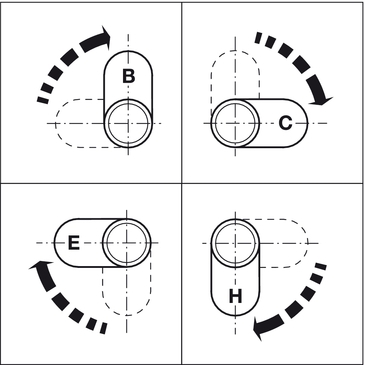 The first letter indicates the factory setting, the closure direction can be altered to the letters specified in brackets by re-positioning the locking cam (example: Closure direction A [D, F, G]).